Casual metallics for the weekend (exact shirt, jeans, flats & sim bag). 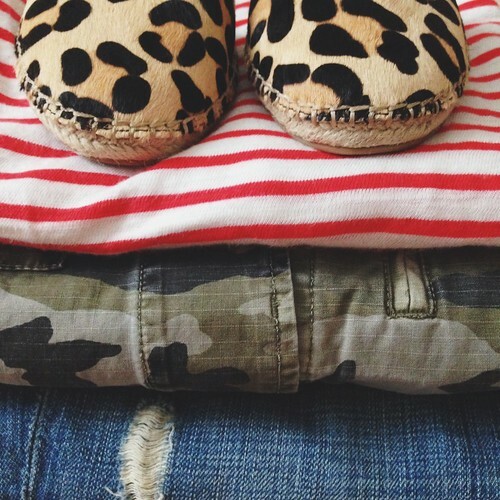 Mix it all up (sim espadrilles, tee, jacket). 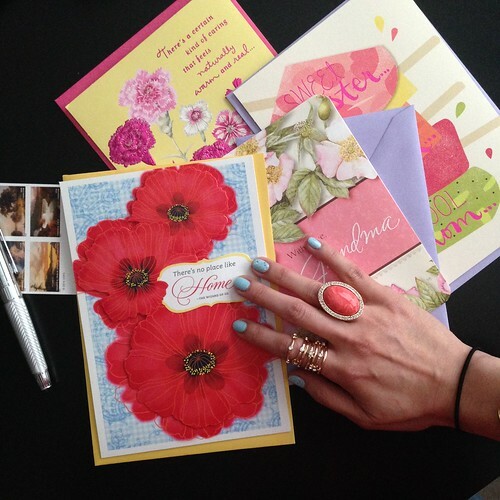 Taking a few minutes to thank all the mothers in my life (exact polish & sim coral, stacked). Mint and rose gold (exact shoes, sweater & sim bracelet). 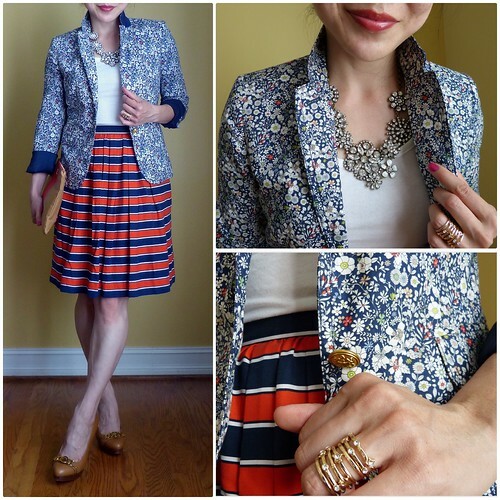 Liberty floral with gondola stripes - two of my faves (sim blazer, skirt, necklace). 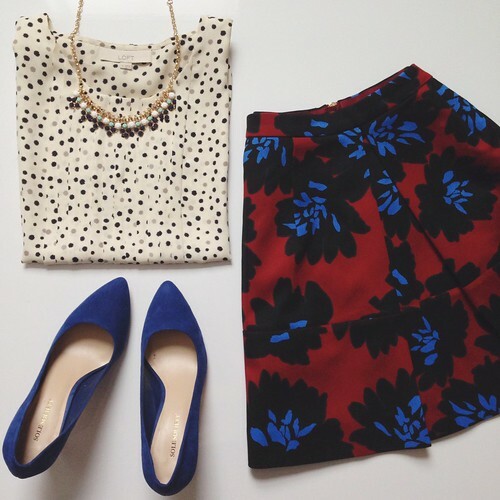 Big pattern, little pattern (exact skirt & sim top, heels). That last ensemble… is stupendous ! I am all for that skirt ! I adore the print - thanks so much! Love the metallic bag and flats! Hi there! How do those tan boots fit? 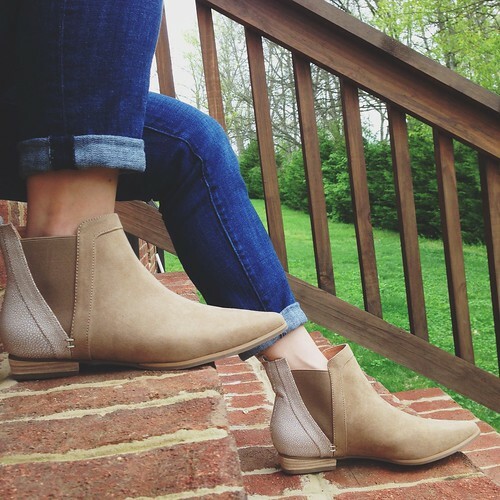 Some of the comments in the listing mentioned they're narrow (http://www.target.com/p/women-s-plume-sonia-heeled-ankle-boots/-/A-16717290#?selectedTab=item-guestreviews-link) -- would love to hear what you think. The ankle boots fit TTS to me - they def do not run wide but I felt like they cradled my foot snugly (if that makes sense) without feeling like they were too tight or narrow. I'm normally a size M foot but veer more towards wide than narrow, if that helps. My biggest concern actually was that since I'm only 5'2" and these are flat pointed boots, I wondered whether or not it made my feet look long or me look even shorter, hehe. The last two outfit are great esp. the last one, I really like the bottom!